Nuts are an extremely delicious and incredibly wholesome source of nutrition that, when added to our daily diet, can offer a variety of impressive health benefits. Research published in the British Journal of Nutrition for example, revealed that those who eat nuts at least 4 times a week have a 37% reduction in their risk of coronary heart disease. Unfortunately many of us actively avoid eating nuts, wrongly believing them to contribute to weight gain, when quite the opposite is true – according to a recent study in the Obesity Journal, those of us who consume nuts at least twice a week are far less likely to put on weight than those who don’t. So, isn’t it about time that you started to enjoy nuts more often?Why not begin with crunchy organic cashew nuts? This kidney-shaped superfood, which adheres to the bottom of the cashew apple (the fruit of the cashew tree, native to coastal areas of Brazil), boasts an irresistibly rich, creamy flavour and is literally bursting with beneficial nutrients that will do wonders for both your health and your waistline. Below are five great reasons to include cashew nuts on your shopping list today! Raw organic cashew nuts are not only cholesterol free, they’re also exceptionally rich in omega 3 fatty acids and, in particular, oleic acids and palmitoleic acids, both of which are known to promote a healthy heart and circulatory system. The high magnesium content in cashew nuts also helps to lower blood pressure and reduce LDL (bad) cholesterol levels, whilst the arginine (a non essential amino acid) found in cashew nuts results in more flexible arterial walls and can therefore prevent your arteries from hardening (a condition known as atherosclerosis). Organic cashew nuts are a valuable source of minerals including potassium, calcium, sodium, iron, copper, zinc, phosphorus and magnesium. Magnesium helps to relax the body, reduces stress and plays an important role in digestion. Like calcium, it is also essential for healthy teeth and bones – indeed, almost three quarters of your body’s magnesium supply can be found in your teeth and bones. UK dietary surveys worryingly suggest that many of us consume insufficient quantities of magnesium. Enjoying just one quarter of a cup of cashew nuts daily provides 25% of your recommended daily magnesium intake and thus actively averts tooth decay and bone disease such as osteoporosis. Cashew nuts have a high energy density and contain large amounts of dietary fibre, which is incredibly beneficial for weight management. 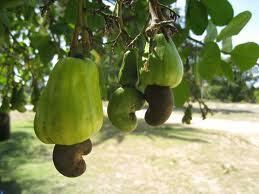 In fact, those who enjoy cashew nuts at least twice a week are less likely to gain weight than those who don’t. In addition, cashew nuts are packed with vegetable proteins that stimulate muscle growth and accelerate muscle recovery, making them the ideal snack immediately after exercise. The powerful antioxidants found in cashew nuts combat the harmful effects of free radicals (such as fine lines and wrinkles) and inhibit premature aging. Cashew nuts also contain a small amount of the special flavonoid antioxidant, zea-xantand, which filters damaging UV rays and helps to prevent age-related macular degeneration (ARMD). Antibacterial and anti-inflammatory cashew nuts contain proanthocyanidins, a unique class of flavonols that are believed to thwart the multiplication of tumour cells. 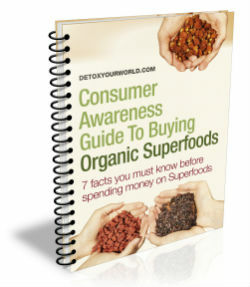 Their generous copper content is also directly linked to a decreased risk of colon cancer. Start enjoying cashew nuts today! Crunchy cashew nuts can be enjoyed straight from the bag or mixed with other nuts and / or dried fruit of your choice to create a tasty trail mix. You can also use organic cashew nuts as an integral ingredient in raw chocolate, cakes and desserts or as a savoury addition to salads and other rawfood recipes.